Horizons is a high value, high quality manufacturer of a diversified family of materials and product identification items. 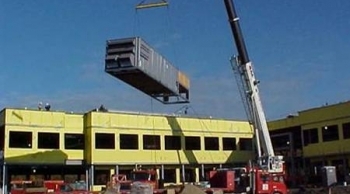 Comfort Systems USA has worked on many projects with Horizons over the years since 1990. They range from the installation of new HVAC rooftop unit systems, to installation of duct sox, exhaust fans, zone dampers, etc., to re-working the existing heat system. 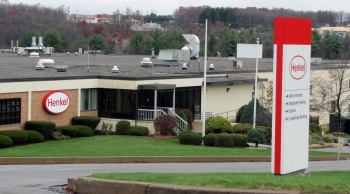 Hudson City Schools is a district made up of over 4,800 students, ranging from pre-Kindergarten to 12th grade. 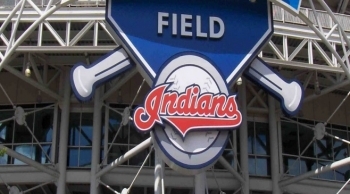 Our Cleveland office is currently working with school administrators to install digital cameras and CCTV at all of the six (6) schools plus the Gagat Baseball facility located on the high school campus. 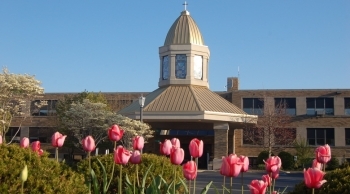 University Hospital of Greater Cincinnati is a high-quality, compassionate care, cutting edge research facility serving the community for over 185 years and has been our customer for over 37 years! Our Dayton office's leading edge knowledge of the newly introduced microprocessor-based DDC systems and overall experience in providing turnkey systems for other customers allowed our team to customize the design solution. Western Union offers us all one of the easiest ways to send money and stay connected from anywhere in the world. Our Ohio teams have been servicing and installing Andover Control Systems all over the world for them and most recently were in Lithuania and Costa Rica. Working with The Dalad Group, our Cleveland design/build team created a heating/cooling system around an existing building shell with 64,000 square feet that was being configured for multi-tenant use. 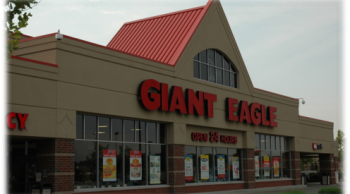 Since 2002, our Cleveland Construction team has been working with Giant Eagle supporting them through a variety of projects from installation and replacement of rooftop units to space heaters and inline fan installations. As a supplier of food and beverages, keeping their products cool is of the upmost importance not only to them but to the consumers who purchase their products. The Electrolozing Corporation of Ohio are medical coating specialists offering high quality metal finishing. Our Cleveland Service team partnered with them to come up with a new ductwork system for their facility. As part of the presentation, our engineer created 3D renderings of the entire design. DeNora Tech is a leader in develpment, manufactuing, and distribution of products and services for the electrochemical industry. Our Cleveland design/build team was engaged to design a new make-up air system for the production plant. 3D renderings were used to plan and explain the complexities of the system in order to get the project to be approved. 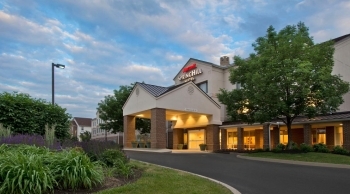 This is the closest Marriott to downtown and the airport featuring 227 hotel rooms and 21 suites. 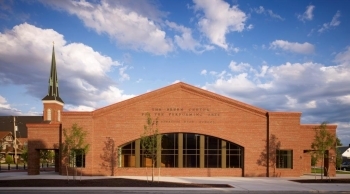 It also features 12,700 square feet of event space. Our Columbus office provides service and project consultation for their HVAC equipment. We recently replaced several rooftop units while not inconveniencing guests. The Coca-Cola Compnay is the world's largest beverage company, refreshing consumers with more than 500 brands of beverages. Through the world's largest beverage distribution system, consumers in more than 200 countries enjoy their beverages at a rate of more than 1.8 billion servings a day! 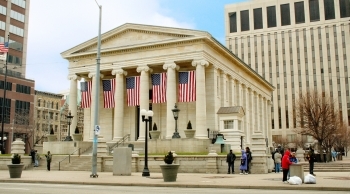 As a national account of Comfort Systems USA, our offices provide service to several locations in the state of Ohio as well as consult, design and install numerous projects for their facilities. As you are aware, baseball uses instant replay now! Our Cleveland design/build team designed a pro-type booth for the Cleveland Indians to house their equipment and officials in. This booth had to be self-contained since it was being installed in the garage area. We also provide preventive service maintenance for the locker rooms. Working together since 2002, the City of Wickliffe and our Cleveland Office have completed many projects together. These projects range from replacing rooftop units and air handlers, to upgrading zoning systems, sealing and repairing ductwork, replacing smoke detectors and much more. 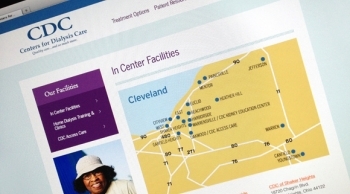 The Centers for Dialysis Care (CDC) operate 18 facilities throughout northeast Ohio and our Cleveland office provides preventive service maintenance to them all as well as retrofit/replacement work. The CDC is an independent provider of dialysis and related health serves to individuals with kidney failure. Working with The Dalad Group, our Cleveland team completed a turnkey project to restore a 34,000 square foot shell that once housed a bowling alley. The facility would serve to intake, sort and distribute unwanted household paints, pesticides, used motor oil, cleaning solvents, and other waste products. 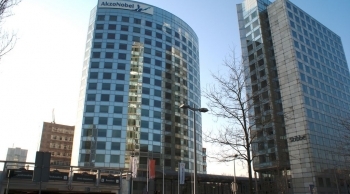 AkzoNobel is a leading global paints and coatings company and a major producer of specialty checmicals in Columbus, Ohio. 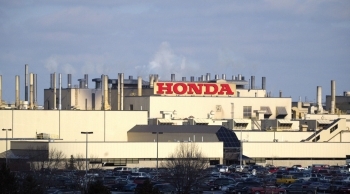 Their facility opened in 1954 and our team out of our Columbus Office has installed HVAC equipment on several key projects. 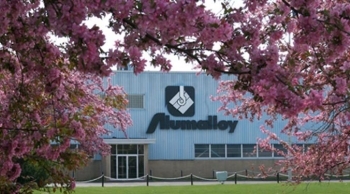 Alumalloy Metal Castings is a private company that has earned a reputation for successfully casting parts in their foundry. 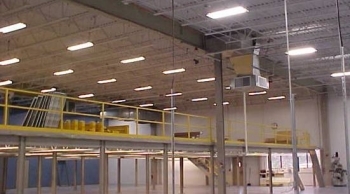 Our Cleveland office designed an air conditioning system for their new production area and the engineering offices. Aclara RF (Radio Frequency) Systems makes automated meter reading systems and software for electric, water and gas utilities. 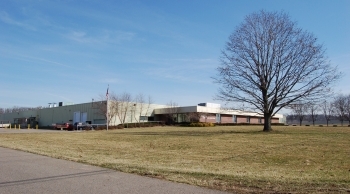 They moved into an existing 110,000 square foot building in Solon, Ohio, which they had to retrofit to their needs and in doing so, contracted our Design/Build team to come up with an HVAC solution for their offices, production area, and laboratory needs. 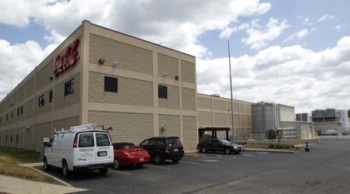 ABS Materials removes organic compounds from water and was approved for a re-development load and job creation tax credit by the State of Ohio to secure a new corporate location in Wooster, Ohio. 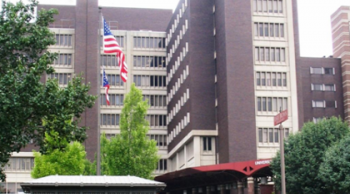 Working with the general contractor, Freeman Building Systems, our Cleveland Office created a solution to retrofit the existing building they chose to occupy, formerly known as the Bell and Howell Plant. The Center at 600 Vine is located in the heart of Cincinnati's vibrant business community with more than 40 restaurants, 8 hotels, 5 banks, underground parking garage and much more. 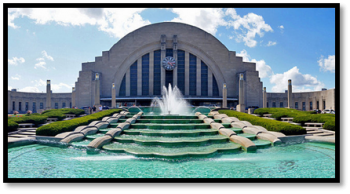 For more than 15 years, the building management team has worked with our Cincinnati office, formerly known as "IES", utilizing our knowlegde and experience when it comes to meeting the demands of Class A tenats and keeping building systems up-to-date while saving money. The building presents major challenges dues to its complex design, construction materials and age when it comes to protecting the building, staff, artifacts and visitors. 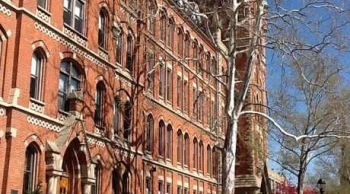 Our Cincinnati Office, formerly known as "IES", was selected to provide and install a system to protect these historical treasures. Our Cincinnati office, formerly known as "IES", was named "Systems Integrator" and provides a comprehensive energy management program for more than 50 Dayton District Facilities. Duke Energy makes life better for millions of people every day by providing electric and gas service in a sustainable way - they are the largest electric power holding company in the United States. 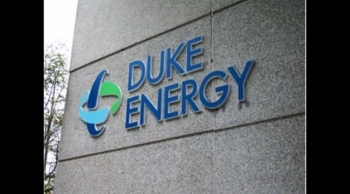 Duke Energy provides chilled water downtown to the Cincinnati community. There are two district cooling plants and a secondary plant that provide chilled water under the streets through a large network of pipes. These plants were networked together by our Cincinnati Office, formerly known as "IES". 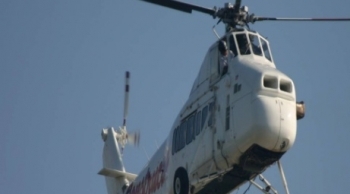 A long-term customer for service and new construction projects. 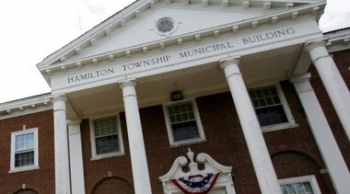 We have installed and maintained numerous systems in a variety of buildings that include: Hamilton County Justice Center, Hamilton County Department of Public Works, Hamilton County Board of Education, Hamilton County ADAS Center, 800 Broadway and the 230 East 9th Street Facility. 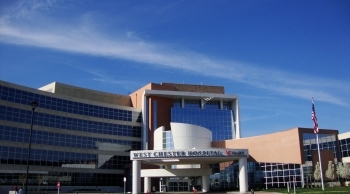 Our Cincinnati office, formerly known as "IES", was part of the design team for The Benjamin & Marian Schuster Heart Hospital at Kettering Medical Center. This hospital with five (5) stories, has nearly 11,000 employees and 2,100 physicians offering world class health services. 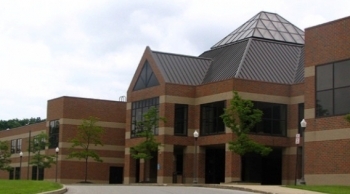 Our Cincinnati Office, formerly known as "IES", has worked with the Montgomery County Facilities Managment for many years as a trusted partner for service and new construction projects at county facilities. 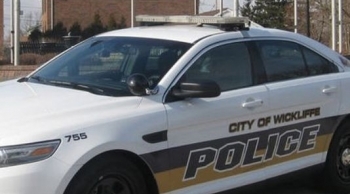 We have installed and maintain systems at the Montgomery County Jail, Juvenile Detention Center, Common Pleas Court, Reibold Building, Stillwater Center and Montgomery County CAS. Some of the best products for our pets are developed at the Proctor & Gamble IAMS Research Lab in Lewisburg, Ohio. 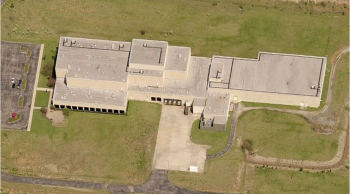 Our Cincinnati Office, formerly known as "IES', monitors and controls the HVAC systems for the entire campus including kennels, a pilot plant and support facilities designed for reseatch and development. 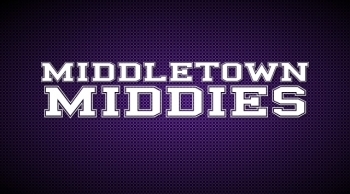 In 2014, Middletown City Voters approved a $95 million bond for the construction of a new middle school and renovations to the existing schools. Our Cincinnati Office, former "IES", was chosen to be the district's "Energy Manager" with a savings of $1 million , allowing their schools to each earn an "Energy Star" rating. 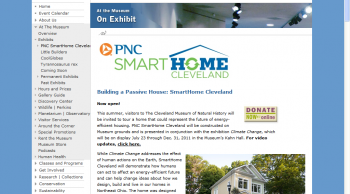 The PNC SmartHome was a project that our Cleveland Office partnered with other community businesses to design an efficient, 21st century home that could stand the test of time of 300 or more years. 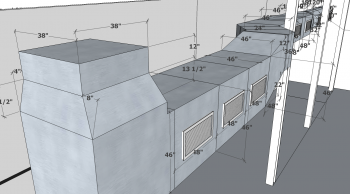 We designed a heating / cooling and energy recovery ventilation system using passive house methodology. The home was displayed at the Cleveland Museum of Natural History for several weeks before being moved to serve as a home for a local family in Akron, Ohio. 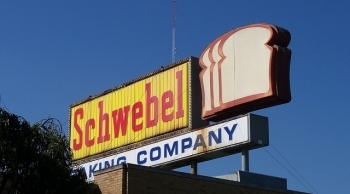 Schwebel Baking Company is a large regional baker in Ohio and is still run today by family members dating back over 100 years. 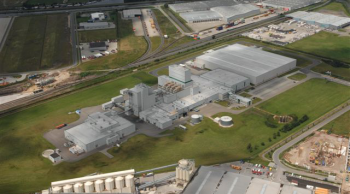 With over 1 million bread products alone produced in their Solon Facility, a stable environment is a must for baking. We designed an air balance system to zone the facility correctly not only to improve the environment for baking but for the employees working there as well. 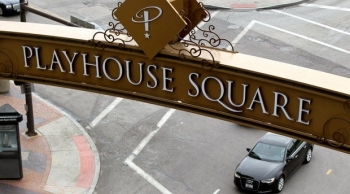 PlayhouseSquare Real Estate is a long-term customer with multiple buildings and represents over 1.8 million square feet of office and retail space in Northeast Ohio. Construction and retrofit projects as well as preventive maintenance programs have helped PlayhouseSquare Real Estate and their tenants reduce costs for HVAC building services but also security cameras and lighting while extending the life of the equipment. Peak 10, is an independent data center operator for hosting and managing complex information technology infrastructure. Thy own and operate facilities in over seven (7) states and are using our "Continuum System" to handle building automation at all of them. 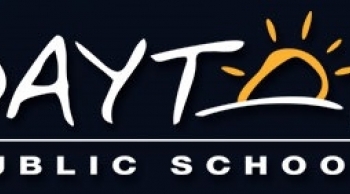 The "Continuum System" handles expansions, additions, and the addition of new facilities. 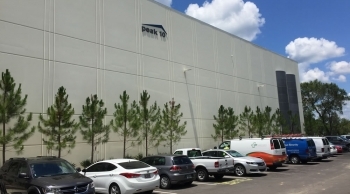 CSUSA consults and services the system for Peak 10 at their locations in Florida, Georgie, Kentucky, North Carolina, Ohio, Tennessee and Virginia. 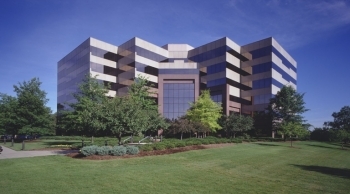 Megix, purchased a building from the Mead Corporation, who built the building in 1988 and was an original customer of CSUSA. Megix applied for a grant to commission the building to newer standards and our Dayton location will be working on upgrades for the next five (5) years. 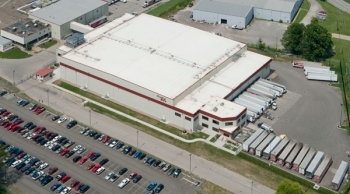 A long-term relationship that includes over 175 projects since 1987, our Dayton location continues to work and designed a turn-key solution that can be utilized by three (3) large production plants that are in two (2) different states. A newly designed integrable HVAC system for their old buildings which were outdated and would allow them to make addition with future additions of equipment using a building automation system. Costs were rising and the environment was impacting the ability of teachers and students to learn. 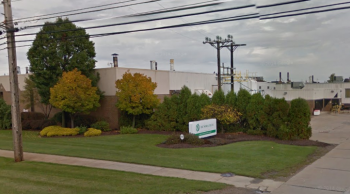 Henkel, is an adhesive producer in Cleveland, Ohio who had excessive amounts of ventilation air causing an extremely negative air pressure in the facility. 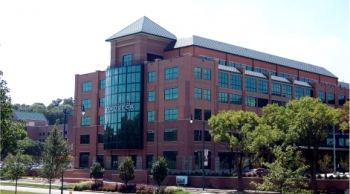 Our Cleveland office, consulted with Henkel and created a solution that analyzed the reason this situation was occuring and offered a fully automated control system as a solution. A preventive maintenace program was designed to help curb and maintain HVAC building equipment. Fresh Mark, is a nationwide supplier of bacon, ham, hot dogs and luncheon meats for customers across the United States. Preventive building maintenance includes 24/7 emergency service for their manufacturing facilities since production does not stop. Skilled on-call service technicans provide scheduled maintenance throughout the year but are on call incase of equipment failure. 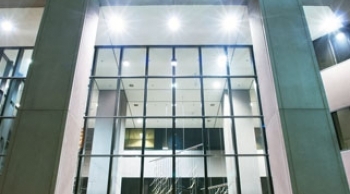 A "state-of-the-art"digital video system was designed as part of a campus-wide security solution incorporating eight (8) buildings. The system includes over 109 cameras and multiple workstations strategically places throughout campus allowing administration to veiw any and all locations. An intrusion system with motion detection, door status contacts, and glass break sensors were installed as well. 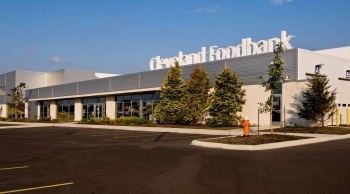 The Cleveland Foodbank is a community food bank serving over six (6) counties in Northeast Ohio that distributes over 18 million pounds of food to those in need. Our Cleveland office not only provides 24/7 building services for HVAC and refrigeration but also maintains the building equipment with a prevetive service program. We also consulted with the Foodbank when they moved to this facility to be more "eco-friendly" achieving a "smart building" distinction. The Dalad Group is a full-service real estate company based in Cleveland, with numerous properties located throughout Northeast Ohio. Our Cleveland Office partners with The Dalad Group in finding solutions that not only fit their buildings needs, but tenants needs as well. We have had a major impact on lowering their building maintenance costs as well as designing programs to help maintain and extend the life of thier buildings. 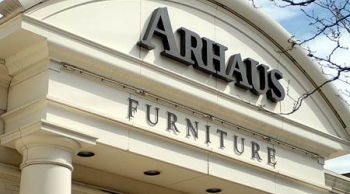 A national furniture chain with numerous locations that average 18,000 square feet per store. This customer originally began as a local customer for our Cleveland Office, providing HVAC building service and based off of our performance, grew to become a national account. 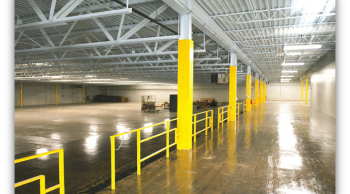 We have been able to substantially lower maintenance and repair costs by creating a national preventive maintenance program that stores all of the location histories to assist our qualified technicans when servicing a store.